Please arrive 10 minutes before your scheduled appointment to ensure you receive full service. 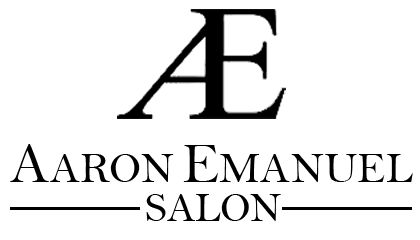 We recommend you book your next appointment prior to leaving the salon so that we can be sure to accommodate your schedule. In consideration of other clients and our staff, please give a 24 hour notice of any cancellation. If you do not cancel 24 hours prior to the appointment, you are subject to a 50% charge of the scheduled appointment. Thank you for your attention to this matter. To help us provide you with a relaxing atmosphere, we request that children without appointments DO NOT accompany you to the salon. We will do our best to accommodate any special situation. Gratuity is not included in any of our service prices, however in appreciation for outstanding service, gratuity may be given at your discretion. Packages and parties of 5 or more are subject to 20% gratuity added at the time of the service. We accept most major credit cards, cash, and gift cards. Exchange only within 7 days of purchase with a receipt or in store credit. Gift certificates are redeemable for the specific service they were purchased. Due to certain gift certificate promotions your gift card dollar value may not be equivalent to the face value of another service. Our biggest compliment is a client referral. If you refer a client to the salon, you will receive a $20 gift card good towards any service at the salon.